Google files: easy to overshare! Do you want the whole world to see your shared Google files? It’s easy to make this mistake. You can avoid by only sharing with people who have Google accounts. Here’s how. When viewing a Google file, on the top right is a Share button. Click on it to open the Share with others dialog. That is where you share your file. Anyone with that link can see this file! Oh, you only emailed that link just to one trusted friend? What if his email is hacked? What if he shares the link, even accidentally? Suppose the link ends up where Google’s search engine can see it? The file will be in Google’s public search! Fixing this is easy. In the Share with others dialog, click the Anyone with the link… dropdown, select OFF, then click Done. Another way to over-share is when you add people. Let me be clear: it’s more secure to add people instead of sharing a view link. When you add people, the person you shared with gets a link to the document, but Google won’t allow viewing unless the person is signed in with the account you shared the link to. If the recipient shares the file’s link with someone else, that other person cannot view the document! A catch: the people you share with must have Google accounts. Did you see this text: “Link sharing is ON. Anyone with the link can view” Don’t use that! If someone doesn’t have a Google account, then Google has no way to know if that person is who is viewing the file. Therefore, it sends the same kind of link mentioned above: it lets anyone view the file! What does “Google account” mean? It is an account used to sign in to Google systems. The account name is the person’s email address. People with Gmail addresses already have a Google account. People with other email addresses may set up a Google account at https://accounts.google.com/SignUp. 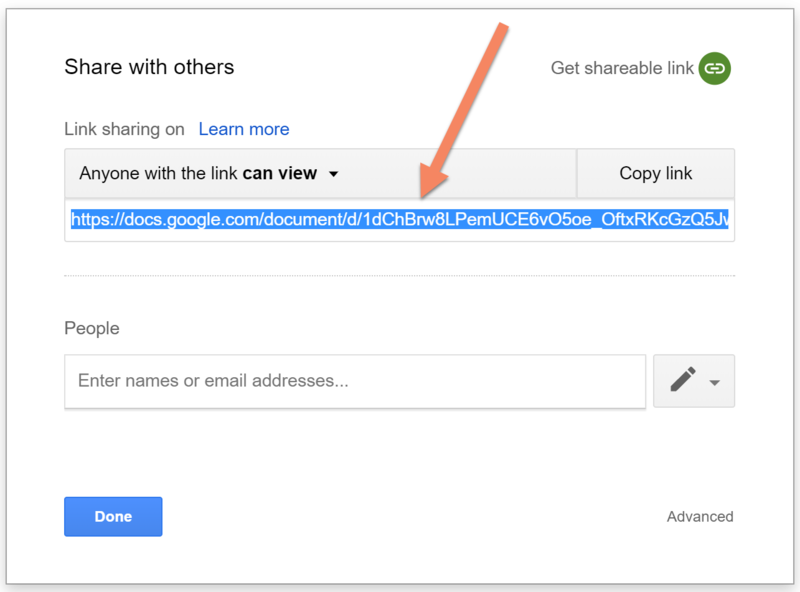 How to avoid sending a view link: When you share to people who don’t have Google accounts, always select the Send an invitation option. With that, the recipient gets an invite to set up a Google account. Until that is done, the link won’t let the recipient view the file. Posted on January 19, 2018 January 19, 2018 Categories TechnologyLeave a comment on Google files: easy to overshare! 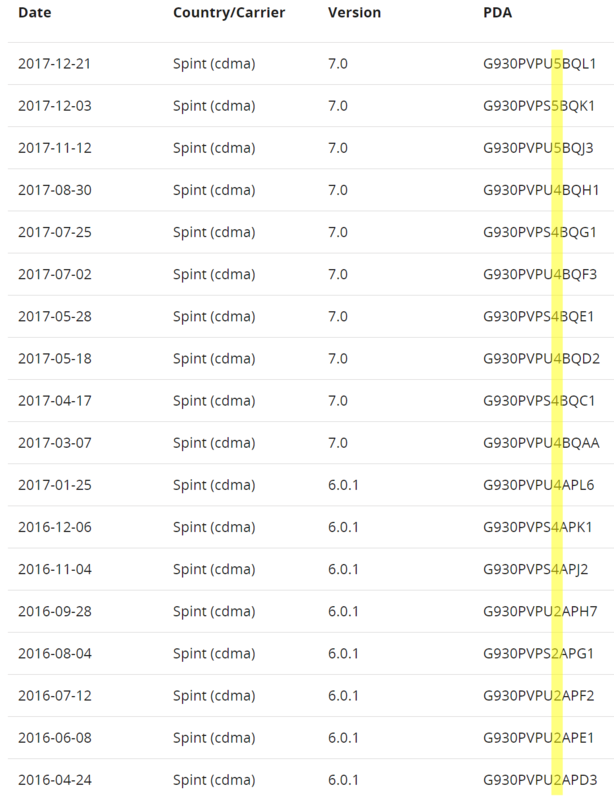 Recently, I discovered that with the Samsung S7, you can’t downgrade certain firmware versions. In late November, I was on the QJ3 update (last three digits of firmware). Its number is 5. I tried to switch to the SM-G930U firmware. That would make my S7 an unlocked phone, which should free it of Sprint-specific customizations. Note that “ABOOT” means the Android bootloader. This is a small, critical piece of software that kicks off everything else when you start the phone. The yellow-highlighted number in the above picture is in fact the bootloader version! On the S7, Samsung has eFuses that indicate the bootloader version. When enough eFuses are tripped for bootloader version 5, I can’t install bootloader version 4. When an eFuse trips, the circuit permanently changes. I can’t un-set these eFuses. Samsung’s eFuses became notorious in the custom ROM community a few years ago. 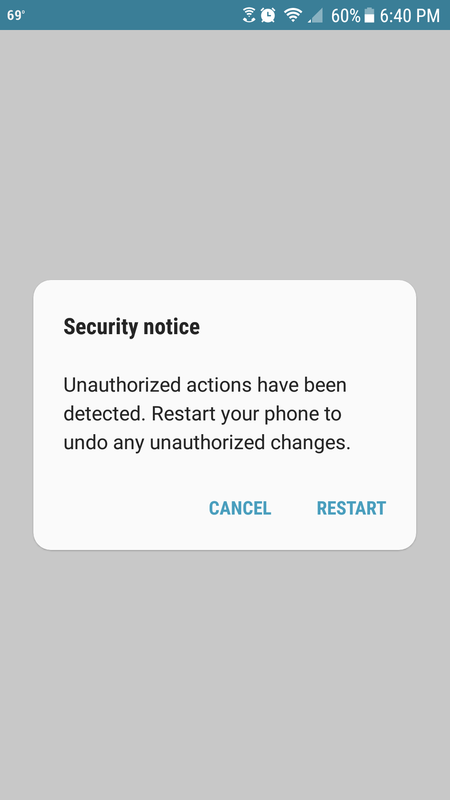 Samsung’s Knox security would trip a warranty fuse if you installed unauthorized firmware. You can’t reset the warranty fuse. Warranty fuse-tripped phones work fine, but there are anecdotal reports of Samsung refusing warranty service due to tripped warranty fuses. This firmware change didn’t trip the Knox warranty fuse. It’s because all US-market Samsung S7 phones are hardware-identical: the only difference between Sprint, AT&T, unlocked, etc. S7s are the software! All Samsung- or carrier-issued firmware types, intended for the US market, are Samsung-authorized on any Samsung S7. The phone still worked fine. Why didn’t I just get the newer firmware and be done with it? No download site had QJ3 despite it being out for a few weeks! About a week later, I could download the correct firmware. I installed it, and everything went back to a happy state. I’ve since installed two more over-the-air updates from Sprint with no problems.